Shattered Dreams has a release date! High school sweethearts, Mason and Shelley, separated abruptly the day after graduation are confronted by their past a decade later. Now that Mason is back in town, he’s determined to learn what happened. Both are stunned as they uncover the truth. Can their shattered dreams ever be repaired, or is it too late? Available as a pre-order eBook on Amazon! Only 99 cents! Publishing date: Tuesday, July 12, 2016. 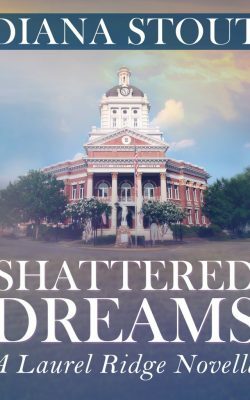 Shattered Dreams, is the first of seven novellas against the backdrop of Laurel Ridge, Georgia, a small southern community. Seven couples, seven situations, and seven conflicts. Sounds like an exciting project! Congrats on the upcoming new release.